Last week we managed to pick up a good sized gammon joint reduced to £2.56 when we popped into Tesco to see if we could find any bargains. Our local Tesco is a funny one as the best bargains are around about 5pm and if you go much later then there’s nothing left at all other than limp looking salad usually. 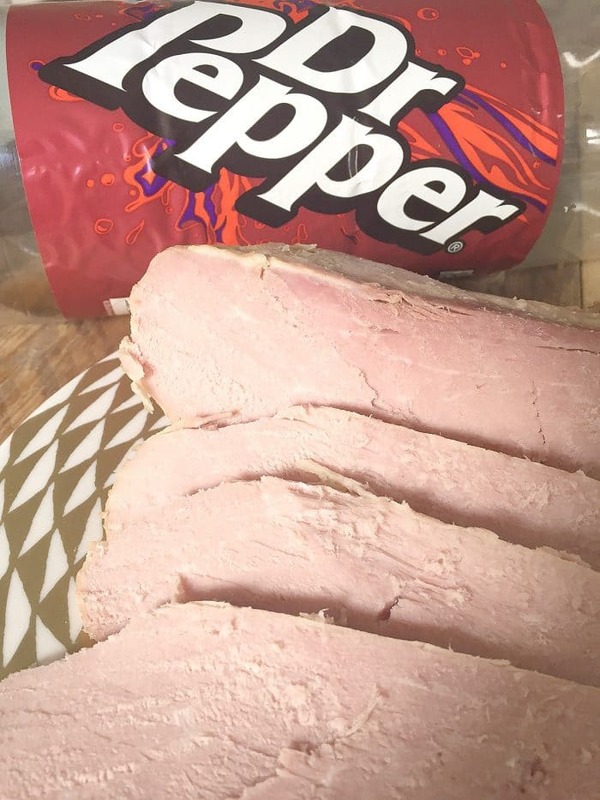 Since it was so cheap, we decided that we would have a go at something we’d been wanting to try for a while – gammon cooked in Dr Pepper! We’d been put off making it in the past by the thought of wasting a good gammon joint if we didn’t like the results but seeing as the joint had been so cheap AND the Dr Pepper was on offer too, we thought we’d give it a go. In the past, we’ve tried cooking gammon in coke and loved it so I didn’t think it was too big a leap to try Dr Pepper. 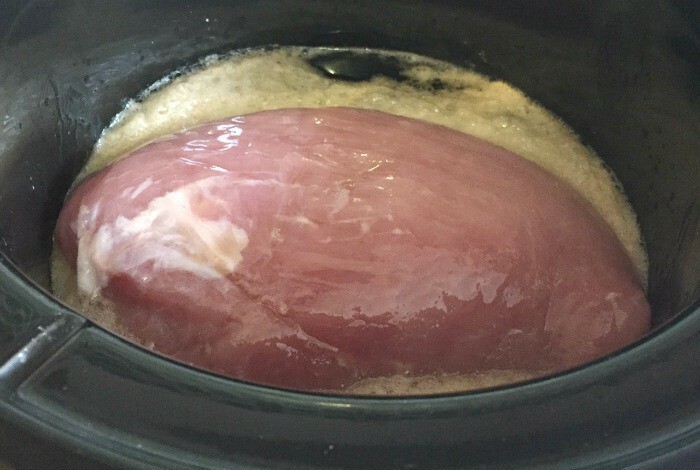 I was planning on rubbing some brown sugar into the joint of gammon for some extra sweetness but in the end, we decided just to pop the join in the slow cooker and pour Dr Pepper in up to about half way up the joint which was about the equivalent of a can and a half of Dr Pepper. As it was late in the day, I cooked put the slow cooker on high and left it for three and a half hours whereas usually I’d pop it on low for around 7 hours. I can’t remember the last time I cooked a joint of meat on high in the slow cooker but I think I prefer cooking it on high now as the joint was cooked to perfection and wasn’t fall apart on your fork soft as it sometimes is when you cook it for longer. Anyway, three and a half hours later the house smelled delicious and I found Mr Frugal poised over the slow cooker with his fork in hand ready to sample our delicious looking and smelling gammon cooked in Dr Pepper. 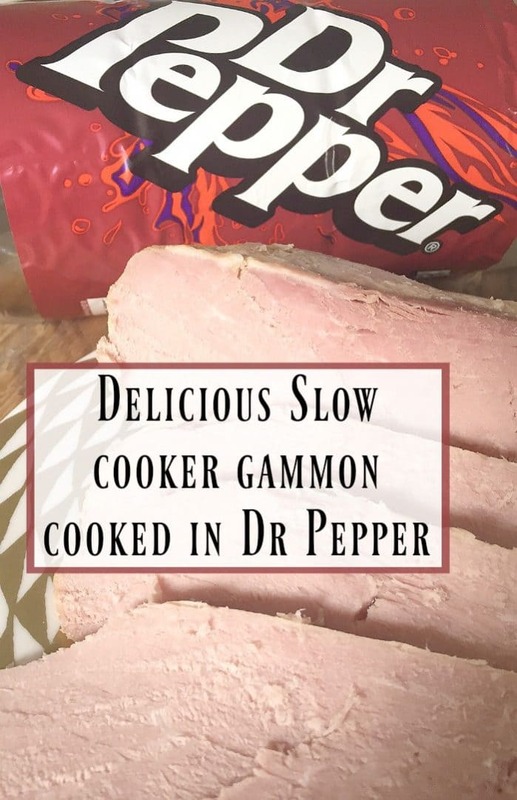 I took the joint out of the slow cooker and the first thing I noticed was that the Dr Pepper hadn’t really caramelised the way that coke does so once you’ve removed the gammon from the cooking liquid you can’t really see that it looks much different to a normal gammon joint. It might not look much different but you can definitely taste the difference! It doesn’t taste like Dr Pepper but there is a slight sweetness to the gammon which really complements the gammon without overpowering it. We’ll definitely be cooking our gammon in Dr Pepper again in future although next time I think I’ll give it a rub with some brown sugar before we put it on. 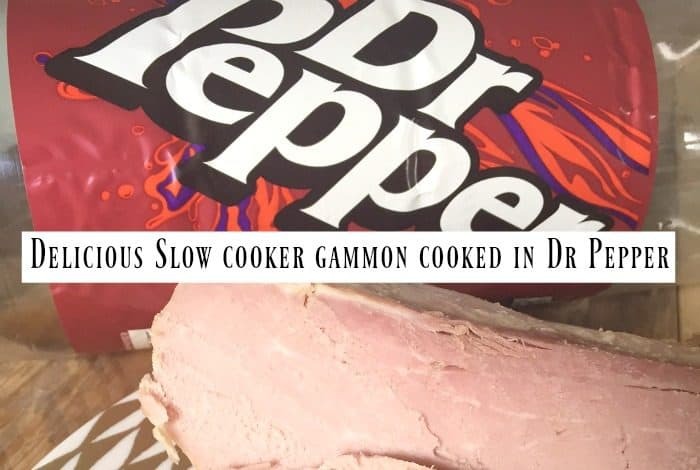 If you liked this recipe for slow cooker gammon cooked in Dr Pepper you can save it to your own recipe box if you use Yummly – just click on the YUM icon at the bottom of this post. I always do my gammon in Dr Pepper – well Dr Pete actually, which is the sodastream equivalent. It's definitely the best way to cook it.